More and more home owners are choosing tilt & turn windows. They’re so much simpler to open at the top to let in fresh air gently rush in. And, on a practical note, they fully open inwards to make window cleaning easier. 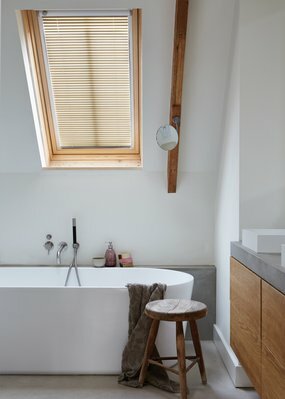 Frustratingly, traditional window dressing can get in the way of the tilt & turn window opening and closing – which is why blinds are a great solution for this window type. A huge range of gorgeous and luxurious fabrics, materials and designs to suit any home’s décor. The smart tailored looks of our Plissé Shades are designed to fit neatly into the frame of tilt & turn windows and glass doors. Each Plissé Shade beautifully filters daylight and offers privacy when you want it most, incorporating our unique Top-Down/ Bottom-Up feature. And the whole stunning collection of fabrics includes a dazzling array of colours and textures – as well as different styles, from transparent to blackout. A perfect choice for windows large or small, Luxaflex® Duette® Shades can be attached to most window frames including vinyl windows, glass bars and walls or ceilings – without having to drill or screw the glass or frame of your tilt & turn window. As an added bonus, the unique energy saving qualities of Duette® Shades keep you warm in summer and cool in the winter. And our special fabrics are also ideally suited for humid rooms like kitchens and bathrooms. Classic Venetian Blinds work beautifully with tilt & turn windows. 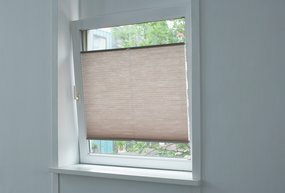 They can be seamlessly integrated into the window frame with side guides, which precisely hold the blind in position when window is angled open. And what’s more, our collection offers stunning colours, metallic and wood looks and exclusive textures. Relax…your local Luxaflex® Showroom will give you all the help you need. Our experts take you through the whole process; letting your inspiration lead the way towards the colours, textures and materials you like best. Then, we’ll get to work accurately measuring dimensions and assessing your room and window to make sure your tilt & turn blind is perfectly customized to your home. 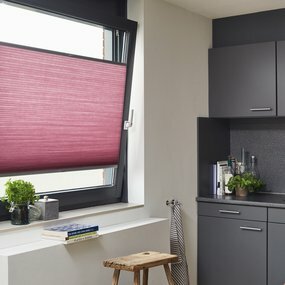 And finally, your made to measure Luxaflex® blind will be professionally installed perfectly… so you can simply sit back and enjoy the view.